Whoa, that track wasn't there when we went to bed! That can mean only one thing. 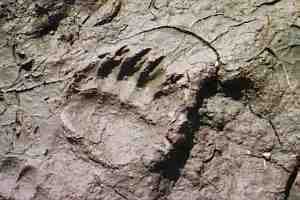 We must have been mysteriously transported to the Bears Paw Mountains overnight! That is frightening!